This post is just to help/guide to a new programmer in writing a cobol db2 program from scratch. Let us write a cobol program to read the EMPLOYEE table and get the details of the employee with name 'RYAN'. I am assuming the table is already created in the user database like below:. STEP1: We need to declare the Table structure in the Working Storage section. 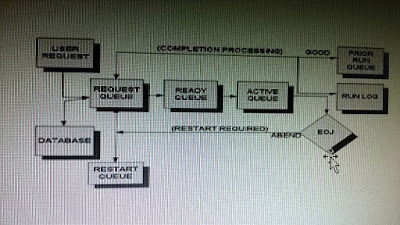 Ideally we should DCLGEN Tool to generate the structure for our DB2 table. The option to go to our DCLGEN tool depends on the ISPF settings. Generally it can be invoked using 'D' option on the ispf menu to display DB2I Default pannel. On pressing ENTER, the DCLGEN will be generated and will look like below. 05 HV-SALARY PIC S9(8)V99 COMP-3. I am not going into the details of cursor programming here, since those are there in other posts. 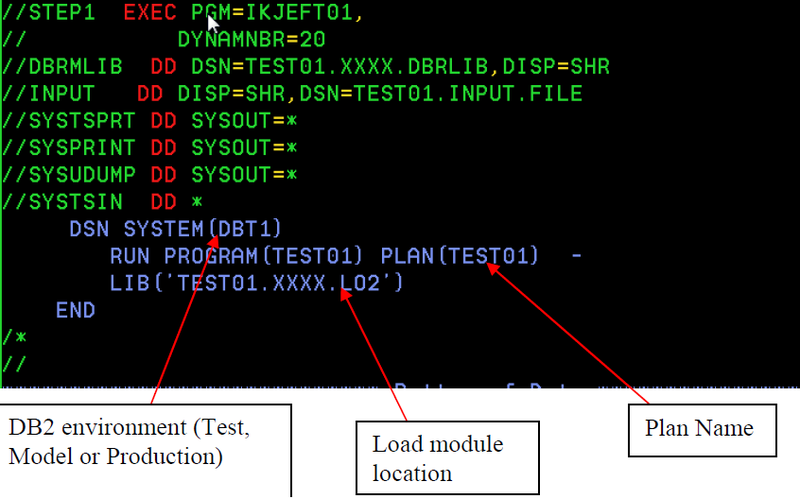 Once the program is ready and compiled , we need to bind it to a plan in the test region. Once the bind is successful, we can run the program using the IKJEFT01 utility as below. Have you ever tried to keep a job or certain steps in a job to wait for sometime and then execute without using any scheduler ? When would it be useful to ask mainframes to sleep like this? Few days back ,came across a specific scenario when it was needed to put a job step on hold for sometime and then execute it. Say for unit testing you want to execute two jobs in certain instance to check dataset conflict or table conflict. Suppose we have a job with 3 steps. 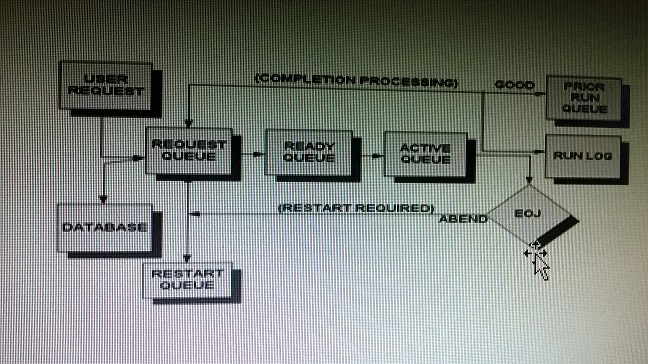 We want to execute step1 an then wait for sometime, say 1 minute, and then execute the remaining 2 steps. How do we do it ? OPSWAIT is the option which can help us in this scenario. (We need CA tool to be installed in our environment). The OPSWAIT function suspends processing of the program or rule for a specified period in an OPS/REXX program or REQ rule.This function can be used in OPS/REXX, AOF rules, TSO/E REXX, or CLIST. Once you submit this JCL, it till execute the step PSTEP01,then it will cause the mainframe to sleep for 1 min and then execute step 2. We can also use this JCL to put the program on hold. In order to maintain uniqueness in the values entered in db2, we use the UNIQUE constraint for one of the column in db 2. Creation of unique index, primary key are also there in the list by which we can maintain data uniqueness. However there are methods to generate unique values in the columns. Lets check about IDENTITY column in this post. Identity columns offer us the possibility to guarantee uniqueness of a column and to be able to automatically generate unique value. An identity column is a Numeric column, either SMALLINT, INTEGER, or DECIMAL with a scale of zero, or a user defined distinct type based on any of these data types, which is UNIQUE and NOT NULL by definition. As such there are no rules when to use identity columns. Still we can consider the below scenario when we can use IDENTITY column. Suppose we have a multi-column primary key(composite key) and the table has several dependent tables, you have to ‘copy’ many columns to the dependent tables to build the foreign keys. This makes the keys very long. Having many columns in the index also makes the index grow quite large. Instead of using the long key as the primary and foreign key, you can use an artificial unique identifier for the parent table and use that generated value as a primary key and foreign key for the dependent table. Suppose we have run the INSERT QUERY 5 times for five different ORDER_NO. We can see the ROW_Id generating unique values each time the insert query ran. Once came across a scenerio where we had to copy a vsam file to a flat file and then process the flat file in subsequent steps.This is pretty simple and can be achived with a SORT step.But Once the same job abended when the VSAM file was emprty. Came across this parameter VSAMEMT=YES which can be used with sort to handle this scenerio. COMP-3 variable in cobol. Calculate the number of bytes for COMP-3 variable. COMP3 in cobol enables a computer to store 2 digits in each storage position, except for the rightmost position where the sign is stored. Each digit takes half a byte. Point to remember: Even if we specify 'S' or not in the variable declaration, the sign is stored. Suppose we move the digit 1265875 into a field 9(7). In display mode, cobol will occupy 7 bytes, ie, 7 storage positions. If we use COMP-3 in the variable declaration, it will take only 4 Bytes like below. Had it been a negative number, then The rightmost digit would store 'D' in place of C.
How many bytes does COMP-3 take ? To calculate the byte-length of a comp-3 field, start with the total number of digits and divide by 2 giving a result (discarding the remainder if any), then add 1 to the result. When Defining the cobol variables, the first thing which we see around is the USAGE clause. It only signifies how the data item will be internally stored. What will be its size.? In most instances we would see that a variable has been declared as(just for example) PIC X(10), and there is no USAGE clause. When the usage clause is not specified ,then it is assumed by the compiler that the USAGE IS DISPLAY.This is the default. The other kind of USAGE is COMPUTATIONAL. As the name suggests, this is used when we want to perform numeric operations on the data items. I found some of the points to be worth remembering. Will be highlighting them in Red in this post. Can we use USAGE IS DISPLAY for NUMERIC items? For text items, or for numeric items that are not going to be used in a computation (like Phone Numbers,postal code), the USAGE IS DISPLAY will not be harmful; but for numeric items upon which some arithmetic operation will be performed,the default usage is definitely not the best way. When we use numeric items (like pic 9(3) )with default usage, internally they will be stored in ASCII. When performing operations on these items, computer need to convert them to binary.Once done, computer need to convert it back to ASCII. These conversions unnecessarily slows down performance. Hence COMP is preferable in these scenarios. Further more, Computational Usage clause can be classified into the following fields depending on the numeric items we use in our program. The maximum length of a comp item is 18 digits. Q.Why do we use COMP in usage clause. When to use COMP ? We know computers are Binary machines. So binary numbers will be more favorite to computers for doing calculations.Hence always use COMP for the variables which will be involved in numeric calculations. Also it is used  for defining internal counters, subscripts. PIC Clause of a COMP data item will only contain 9 or S.
01 WS-LEN          PIC S9(02)  COMP. So if the PIC specified is 9(1) COMP or 9(2) COMP or 9(3) or COMP OR 9(4) COMP, the space allocated by the compiler will be half word (2 bytes). For a PIC clause with more than 9 bytes, compiler will allocate double word(8 bytes). S9(01) - S9(04) Half word. S9(05) - S9(09) Full word. S9(10) - S9(18) Double word. Q.When to use COMP-1 and COMP-2 ? COMP-1 uses 4 bytes of storage. Exactly in the same way, we need to use COMP-2 for extremely big numbers requiring high precision. COMP-2 occupies 8 bytes of storage. Hence no need to use PIC clause since size is already pre defined. Remember: No picture clause is needed when defining COMP-1 and COMP-2 items.